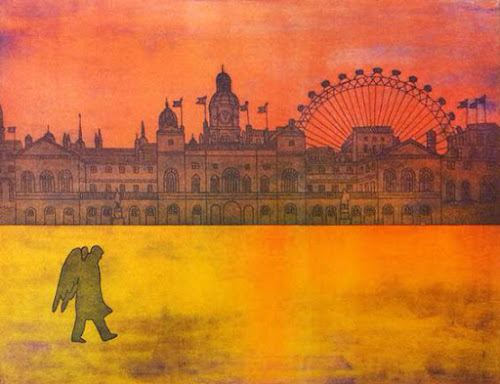 This weekend at the Store Street Gallery in Bloomsbury is the second exhibition of contemporary printmaking, promoting it as an art form. It includes a variety of prints by artists Lisa Denyer, Alexander Gough, Damien Hirst, David Hockney, Max Lowry, Dénes Maróti, Will Martyr, Andy Warhol and Giulia Zaniol. Venetian artist Zaniol's prints (pictured right) uses a two-plate technique that means no print is exactly the same and the results are quite varied and interesting.